An entirely new camera system. The brightest, most colorful iPhone display ever. The fastest performance and best battery life in an iPhone. Water and splash resistant.1 And stereo speakers. Every bit as powerful as it looks—this is iPhone 7. 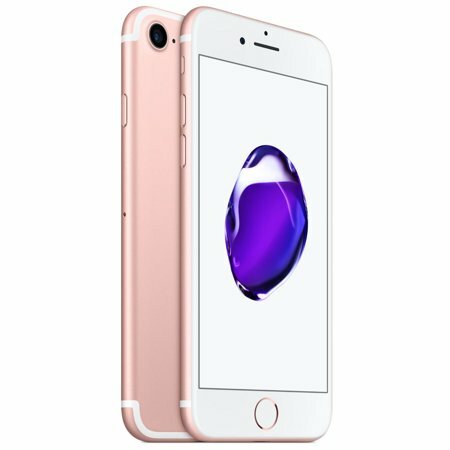 <br /> iPhone 7 features an all-new 12 MP camera with an ƒ/1.8 aperture for great low-light photos and 4K video. Optical image stabilization. A 4.7-inch Retina HD display with wide color and 3D Touch. An A10 Fusion chip for up to 2x faster performance than iPhone 6. Touch ID. Faster LTE.2 The longest battery life in an iPhone. Immersive stereo sound, splash and water resistant,1 and iOS 10. An entirely new camera system. The brightest, most colorful iPhone display ever. The fastest performance and best battery life in an iPhone. Water and splash resistant.1 And stereo speakers. Every bit as powerful as it looks—this is iPhone 7. It was like new!!! I bought it for my daughter and she loves it!!!! Good phone. And this refurbished so it's too good. And price is too low.. Purchased phone for my 20 yr old daughter. 2 days in apple sent an update to the refurbished Iphone 7. She has had nothing but problems. Waiting on the verdict @ apple store to see if it is an Apple problem or the phone itself. It will be returned if Apple cannot rectify the problem free of charge. Urrrrggghh!